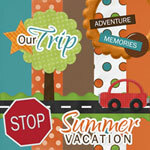 Is is really possible to find thousands of digital scrapbooking supllies for free. Here at FreeDigitalScrapbooking.com it is. Below are just a few of my favorite digital scrapbooking freebies, including free digital scrapbooking kits, free scrapbooking layouts and digital templates, digital scrapbooking alphabets and embellishments, free printable digital papers for scrapbooking, as well as free scrapbooking fonts.